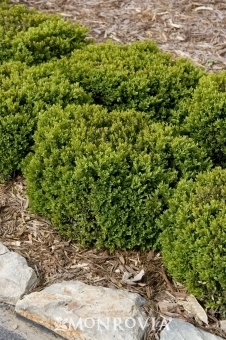 A wonderful evergreen that will provide year-round, cold-hardy color and structure in the garden. A full-bodied boxwood well-suited for dense, low hedges. Foliage retains its rich green color throughout winter. Develops a vigorous, rounded form if not pruned.